A Dalhousie University professor is hoping to find out if medical marijuana can help repair arthritic joints, relieving pain. A Dalhousie University researcher is hoping to find out if medical marijuana can help repair arthritic joints and relieve pain. Dr. Jason McDougall, a professor in the department of pharmacology and anesthesia at the Halifax university, is using a three-year research grant from the Arthritis Society to study how cannabis compounds can manage arthritis pain. 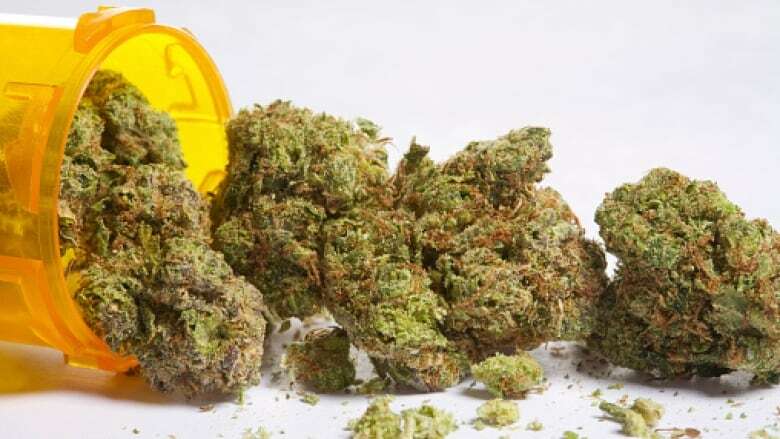 The society says the majority of patients authorized to use medical cannabis in Canada use it to manage their arthritis, a painful inflammation of the joints. The nerves of an arthritis sufferer are like "wires that have been stripped of their coating," McDougall told CBC Radio's Information Morning. "They're all bare, they're all raw and responsible for feeling a lot of pain. What we hypothesize is that by locally administering these cannabis-like molecules to those nerves, we'd actually be able to repair them and reduce the pain of arthritis." His research is breaking down how cannabis molecules are easing pain for patients. He says it appears cannabis is not just dampening the pain in the brain, it's actually working on the joint itself. "We need to understand things like different dosage, different things like administration and maybe it's not appropriate for all types of arthritis patients," McDougall said. So far research in his lab shows cannabis molecules can attach themselves to nerve receptors and control the firing of pain-sensing nerves in the joint. "This gives us a wonderful opportunity to be able to be reduce pain locally in the joint and not have those centrally medicated side effects that we commonly associate with cannabis," he said. McDougall says that could help patients move away from smoking the drug. His team is looking at cannabis compounds besides THC, the element that gets people high, as part of the research project. "I think the Arthritis Society has taken a bold and pioneering move and saying, 'OK there's maybe something in this,'" McDougall said. "There's a lot of anecdotal evidence associated between use of cannabis and alleviation of joint pain, but let's have hard science behind this." The society says McDougall's project was selected following an a peer review process.